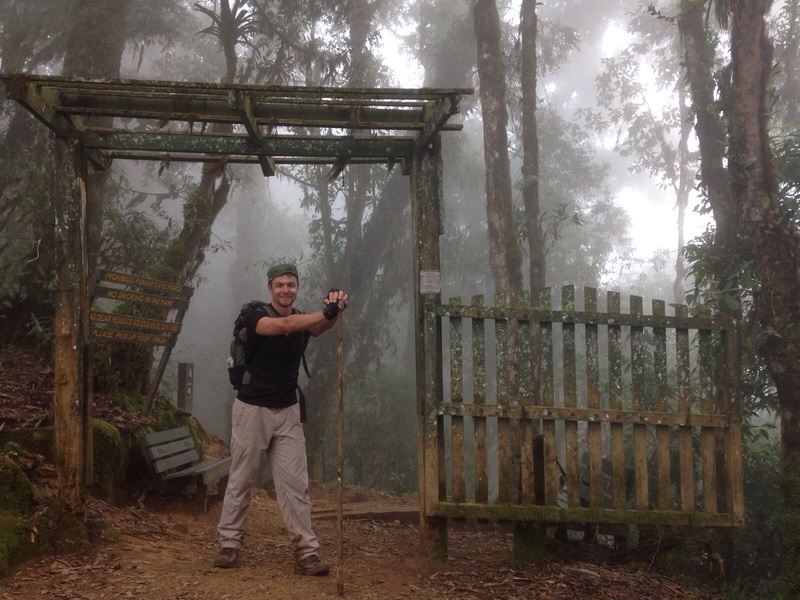 Standing on top of Costa Rica – and on how the world changes as you go up! The sun is rising – 5:00am Friday 27th November. 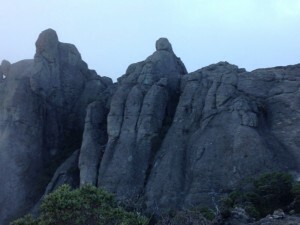 In the creeping light, I am racing up a rocky pinnacle at just a little over 3,800m. The going is tough. My heart is pounding hard in my chest, and my lungs are working as hard as they can. I am running, scrabbling for balance with both hands on the bare rocks. To the left and right the rocks slide away into perilous falls. I can see the glimmer of a lake down to my left. 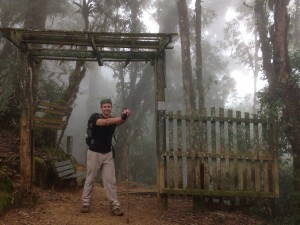 I am about to summit Chirripo, the highest mountain in Costa Rica. I turn to see my climbing partner gaining on me… I whoop in exilharation, and then immediately regret it – I needed that oxygen! With a last twist of the trail that sets my quadriceps muscles on fire, I see the flag of Costa Rica ahead of me fluttering in the first morning breeze, and I know that I have made it. Jubilation takes over, and I hug the suprised stranger who is the only man to beat me to the summit that day. We made it! 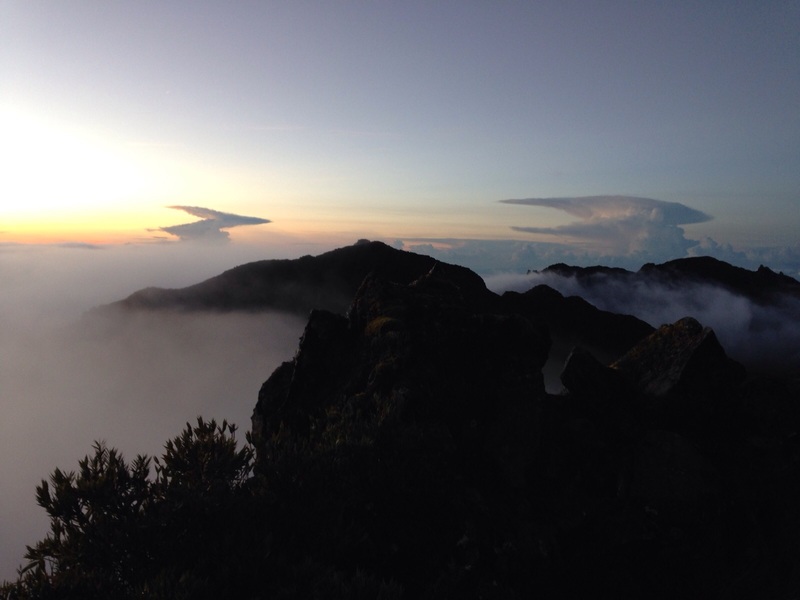 The view is breathtaking, layers of clouds below us glowing in a ring of orange creeping light. I am freezing, even in my thermal base layer, fleece, mountain top, goretex jacket, and Andean wool hat and gloves. It can’t be much above freezing point. What a climb. What a dawn. What an amazing place to be. And then again, what an amazing study of the effects of altitude on vegetation. Climbing mountains gives a biologist an amazing opportunity to observe something called ‘zonation’ in action. That is, when vegetation (and associated animal species) occur in discrete zones, delineated by geographical boundaries. In this case, the zones are defined by altitude. We had started that day at the punishing hour of 3am from basecamp. At 3400m, this is already above the ‘tree-line’. Here only hardy bushes and xerophytic plants (adapted to desert-like conditions), will grow. Standing there on the top of CR, there is nothing alive except us. 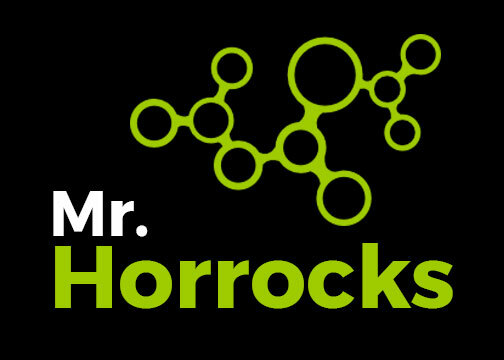 Well… probably some microorganisms grow, bacteria and algae. But mostly just rocks. During the previous day, we had hiked 6 and a half hours from the village of San Gerardo de RIvas, witnessing truly remarkable changes in vegetation. Moist lowland forest had suddenly become gorgeous cloud forest, heavily clad with old man’s beard and orchids, which troops of white faced cappucin monkeys were literally ripping to pieces in their search for tasty insects. It was literally raining precious orchids, like a free-for-all herbarium. Strange clusters of indigenous bamboo came and went, and when we crossed the treeline the change into scrub land was equally dramatic. Suddenly beautiful flowers appeared on both sides, and small cheeping birds fluttered on between the sparse foliage. A green spiny lizard followed us, one of Costa Rica’s highest living reptiles. Okay, so why does this happen. Well, we know that at higher altitudes, a number of abiotic factors change. Air begins to thin, that means less CO2 for plants to draw on for photosynthesis. This also affects evaporation rates for water, which becomes faster. The effect of winds can be more strongly felt, as there is nothing to slow them down up there. There is also less shade. Basically it becomes more exposed, creating a harsh environment where water is scarce for plants. Presumably, the combination of these factors places a limit on how high certain species can flourish. This allows plants to grow which would otherwise be out-competed by the lower-altitude loving plants. At a certain altitude, around 3,600m, it’s too high for anything. When my two climbing buddies and I tried to do a little ‘independent exploration’, we soon found that this meant there is very little to hold on to. Climbing on bare rock on high altitude is a scerene but also intense experience. You know you are climbing higher than life itself dares to go. That makes it a little more scary, a but also a little more special. So if you dare to climb this amazing mountain, watch out for the zonation!